Virgo (Aug 24th-Sept 23rd) is the sixth sign of the zodiac and is symbolised by the virgin. 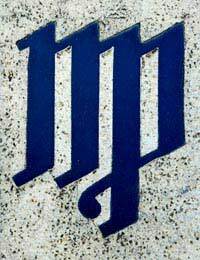 The symbol of the virgin may be used for Virgos in part because it shows their cool and disciplined ways. Virgos are rational, practical, intelligent people who are able to think clearly thanks to the ruler of their Earth sign, Mercury. If you ever decide to question a Virgo, make sure you know your stuff because it will be hard to convince them they are wrong. A Virgo's thought is so precise that they are not very tolerant of other people's procrastination or lack of common sense. They simply cannot understand why other people cannot function at the same level as they do. Virgos also pride themselves on their excellent memories. Because Virgos have such clear thought, they may be critical of others. They are perfectionists who despise carelessness and incoherence in others. However, as critical as they are of others, they usually turn that criticism inwards on themselves. They dislike being criticised by others because they already know their own faults. Most Virgos have an intensity that makes them both industrious and efficient. Sticklers for detail, they are very organised. They are also hard workers as they are driven to do, not daydream. They are weary of making decisions until they know all the facts. Virgos are shy by nature and function better in one-on-one situations rather than in large social gatherings. Mercury rules both Gemini and Virgo. Both signs have a lot of restless nervousness, but while it manifests into nervous energy for Geminis, you will rarely be able to see it in Virgos. To the world, Virgos appear calm and collected, but underneath that, they have a great intensity that demands they bring order to their worlds. Beneath the calm exterior is a frantic interior that needs to rearrange until everything is perfect. This leads to one of Virgos most important personality traits - that is that of perfection. Whether it is balancing a cheque book to the penny or measuring something five times until they are sure it is precise, Virgos are perfectionists. This works well with their analytical thinking and practicality. Virgos have the tendency to be as overly critical of others as they are of themselves. They can be seen as petty and are often sceptical of the ideas of others. They are worriers, which may lead them to be hypochondriacs. Their constant need for perfection can wear on others. The nervous system and intestines - Virgos may find they suffer from stress and nervous tension, which in turn can cause ulcers. Virgos are doers who need to make things as perfect as possible. They tend to expect the same high standards from others that they expect from themselves, but are capable of warm loving relationships as they are devoted, kind, and affectionate. Thought yall hit the nail on the head until i saw perfectionist. Im far from that?? A wise human once said, "spoonerism is the true core of the linguistic being". Or was it a deranged human? I can never remember. They're far too similar. I'm a Virgo ?, so i was born August 27thand this is more than true tham anything!I love being a Virgo?? I'm a Virgo, and the only things I found that I could relate to was that I can get an uneasy stomach when something happens that's not in my favor and also that I can be organized but my way, it's still messy. Other than that, I'm overly optimistic, friendly, creative and eccentric! I guess I'm just a quirky Virgo that way. I have bad handwriting. And I think I'm kinda a perfectionist. I expect a lot from myself like achieving really good grades and being good in sports and everything else. I don't like backing down though. I like getting praised ,very much, but I don't show it. And I get angry easily and don't show itbut I cool down easily too. To be frank, up to this point I thought that astrology was b.s.. The detailed and highly accurate personality description of me (virgo) has done a lot to change my mind on the subject. Wow! Well I'm a Virgo and I am very observant with everyone. I am shy and I over think things a lot. A worrier to the extreme. As a Virgo I pay attention to a lot of things. I do speak my mind and tell it like it is. I get mad easily I don't know if that's part of being a Virgo but I assume it is. I'm a virgo too!!!! But as it said i'm well organised but I don't stress to make it perfect tho!!!? I'm a Virgo and I find myself to stress and freak out alot. I am definitely not a perfectionist. I only am, when I am actually interested in what I am doing. One thing that i can confess to that makes me a perfectionist in a way, would be that everytime i purchace something, i always caluclate the total including tax. Everything else seems pretty accurate. Over thinking is definitely something I do ALOT of, and shyness is definitely one. And for famous celebrities that are Virgos, how in the world is BEYONCE not on the list???? Many Virgos are "disorganized" and messy..but like the creative beings we are..we find much order within chaos. Hey Virgos, imagine being a triple (yes 3) Virgo. Oh God, need I say more? ?? I find this is wrong at times since I'm not a perfectionist, I have a messy room and am easy going. Wow, so perfect, get it ! Born a Virgo has taken me to where dreams are made ! I'm engaged to a Virgo and we met online ! She's an amazing woman and she says I'm an amaZing man ! She's not educated as I am but she's willing to let me teach her ! Our love is so tight, that I flew 9,400 miles to be with her ! She has children and was amazed how quick they flocked to me ! She and I are unseparable, and waste no time doing the wild thing ! We now have the perfect plan ! Marriage, adopting her children, four of them, and having a child of my own with her ! This is happiness ! This is a very precise description of who I am. Loyal romantic perfectionistic self critic creative singer musician seamstress animal loving nature loving nervous wreck gotta always have the pedicure can't leave the house without being totally put together and why can't people be on time virgo!!!!!! How come you left out Beyoncé? Like damn!